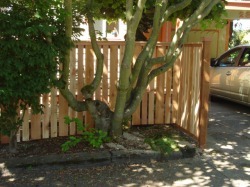 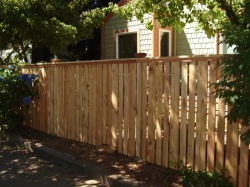 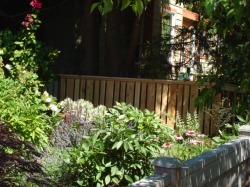 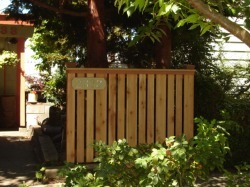 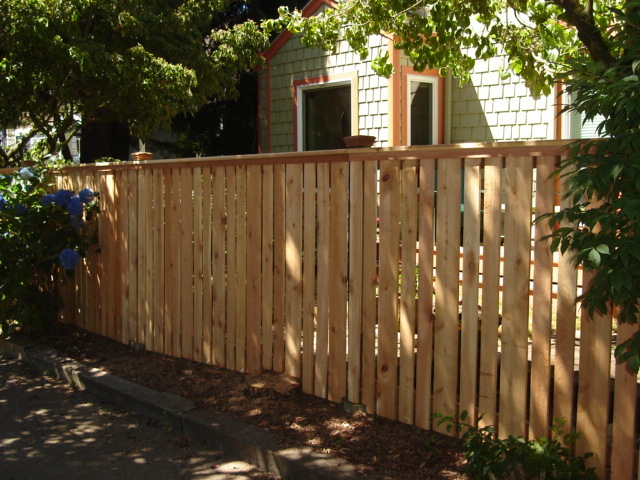 These customers had an old, crooked fence that detracted from the looks of their house. 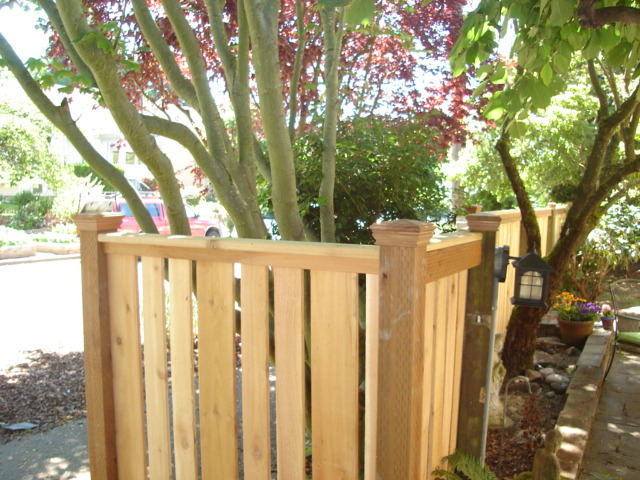 By straightening the existing posts we were able to bring it back into a straight line. 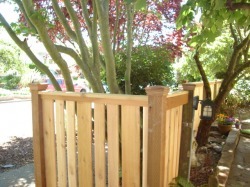 The addition of a top rail and post caps created an architectural feel that the old fence had lacked. 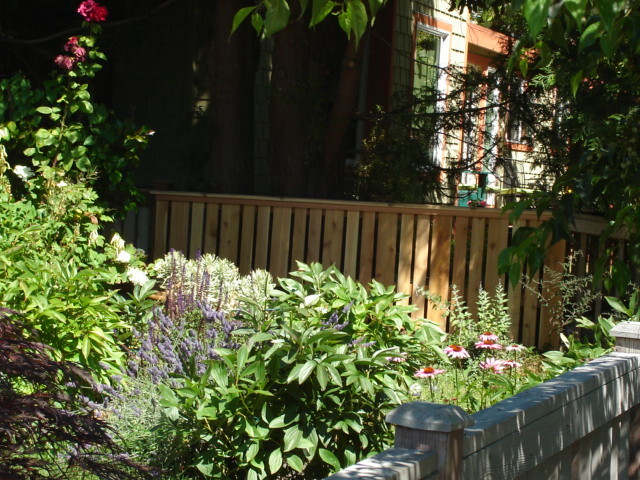 All the original fence boards were washed with a biodegradable cleaning solution and reused, allowing the whole project to be completed with almost no waste!